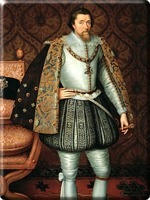 Mary I's son, James VI, inherited the kingship as an infant when she abdicated in 1567. Regents governed in his name during his minority, which ended in 1581. His first twenty years of kingship in Scotland were marked by the assertion of royal authority over the lords and the church, ushering in an era of stability and prosperity. He subdued dissenting Roman Catholic earls and consented to an Act of Parliament establishing a Presbyterian-structured General Assembly to be the church's governing body in 1592. When Queen Elizabeth died childless in 1603, James VI of Scotland also became James I of England, uniting the crowns of the two countries for the first time in history. The succession triggered neither unrest nor invasion, nor did his later clashes with Parliament over royal versus Parliamentary authority give cause for rebellion. He reigned over the beginning of Empire, granting royal charter to the Colony of Virginia and securing footholds in India through the East India Company, as well as introducing a taxation system that financed the government. His most lasting impression, however, was made on church government: believing the decentralized Presbyterian model to be incompatible with monarch, he sought to bring the Scottish church in line with the English church, which retained the Episcopal structure. The General Assembly widely resented his reestablishment of a diocesan system governed by bishops and archbishops. James VI's curtailing of church power coincided with his extension of law: he replaced ecclesiastical courts with civil courts, ended clerical immunities, and took over church property. When James died in 1625, the problems of an Episcopal Presbyterian system were left to his son and successor, Charles I.
Charles attempted to bring Scottish Protestantism even closer to Anglicanism, introducing an English-style prayer book in 1637. Furious representatives of various sections of Scottish society drew up the National Covenant the following year, a clerical constitution written to counter the monarch's Episcopacy and preserve the Reformation settlement without Crown interference. The Covenanters formally expelled the royally-appointed bishops from the church at a General Assembly meeting in November 1638, replacing them with a fully Presbyterian model of church government. The conflict that followed was about more than confessional differences and church government: it was a struggle over secular political power. An assembly at Edinburgh forbade churchmen from holding civil office and abolished the Episcopacy, declaring it contrary to Scripture. Scottish Parliament, which met soon after the Assembly, confirmed the declarations made in Edinburgh. The implications meant the end of absolute royal authority in Scotland. Charles was in checkmate. He could not rule as a constitutional monarch in one kingdom and an absolute monarch in another. 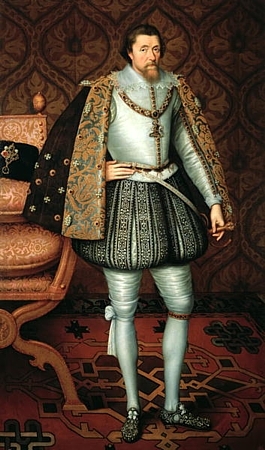 While James VI had shared the same beliefs on royal prerogatives as his son, he had enough personal charisma to persuade English Parliament to accept his policies. 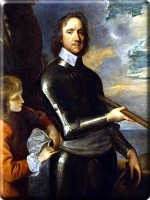 Charles' assertion of the divine right of kings on issues such as taxation, military expenditure, and the role of parliament in government led to a serious breach between the Crown and English Parliament. So when he came to them to finance a campaign against the Scots, they refused, declared themselves to be permanently in session, and put forward a long list of religious and civil grievances that the monarch would have to remedy before they approved any new legislation. When Charles tried to raise an army of Irish Catholics to fight his campaign in Scotland, civil war broke out in all three kingdoms. The Covenanters came to the aid of English Parliament when the English Civil War broke out in 1642, agreeing to supply military aid on the condition that Presbyterianism would prevail in England over Episcopacy once the war ended. Torn between Protestantism and Catholicism, parliamentarianism and monarchism, Scotland descended into civil war. Archibald Campbell, 1st Marquess of Argyll, sided with the Covenanters even though the mighty Campbells were Highland Catholics. Their sworn enemies, the MacDonalds, took up the Royalist banner with other anti-Campbell Highland clans. But while the poorly-trained Covenanter militias were no match for the Highland charge, clans from western Scotland saw the Campbell clan as their principal enemy, and thus could not be persuaded to campaign into the Lowlands. Despite a string of victories, the Royalist army, led by James Graham, 1st Marquess of Montrose, was unable to hold onto territories once it had taken them, retreating again and again to the safety of the Highlands. 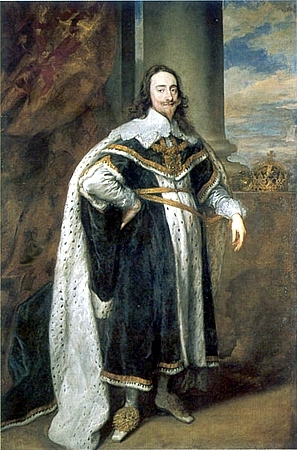 Charles surrendered to a Scottish Covenant Army in May 1646. Many of the Covenanters, however, feared that the English Parliamentarians threatened Scotland's independence. A second civil war sparked when Charles attempted to negotiate with the Scots. 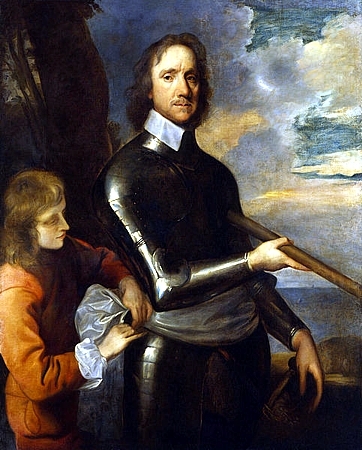 A Royalist army seeking the monarch's restoration was routed by Cromwell's New Model Army. English Parliament tried Charles for treason. His 1649 execution was the first of its kind in European history: absolute monarchial power was dead. 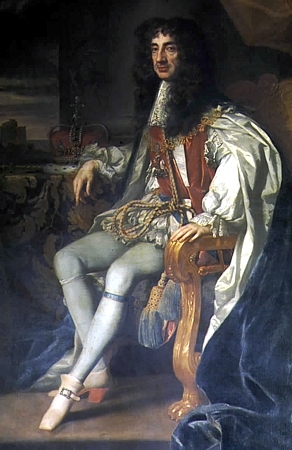 The execution of Charles I changed the dynamics of Scotland's civil war. 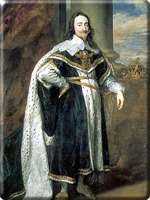 Charles II, son of the executed king, encouraged Montrose to raise a Highland army for the Royalist cause. Covenanters, however, feared for the future of Presbyterianism and Scottish independence under Cromwell's Commonwealth, and offered the crown of Scotland to Charles II. The new king signed the 1638 Covenant and abandoned Montrose, who was then captured, tried by Scottish Parliament, and sentenced to death by hanging. 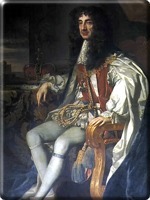 With his original Scottish Royalist followers and his new Covenanter allies, King Charles II was the greatest threat facing the English republic. Scotland once again found itself under English invasion. The Covenanters and Royalists put aside their differences and united to form the Scottish Army of the Kingdom under the direct command of Charles II. Cromwell's army laid siege to Edinburgh in July 1650; by the end of the year it had occupied much of southern Scotland. After Cromwell crossed into Fife in July 1651 to advance on Perth, Charles II moved the Scottish army south into England in a desperate attempt to spark a Royalist rising there. Cromwell followed, leaving George Monck to finish the campaign in Scotland. Monck took Stirling and Dundee within two weeks of each other. His army killed up to two thousand of Dundee's twelve thousand residents and destroyed every ship in the city's harbour. Meanwhile, Cromwell engaged Charles at Worcester in a battle that destroyed the Scottish Army. Three thousand were killed and ten thousand were taken prisoner. Charles escaped to the Continent, leaving Scotland under the occupation of the Commonwealth of England for the next decade.